Churchwood is one of Austin’s best blues/rock bands, adding a unique aggressive twist to an otherwise traditional sound. While The Blues is typified by somber lyrics and repetitious structure, Churchwood’s album, 2, injects the venerable genre with adrenalin—amping-up traditional blues with a punk-inspired energy that melds the traditional with the contemporary. On 2, Churchwood members Bill Anderson (guitar), Joe Doerr (vocals and harp), Adam Kahan (bass), Billysteve Korpi (guitar) and Julien Peterson (drums) don’t seem to have set out to make a polished album. 2 comes across instead as being made from pure musical pleasure. The riffs are punchy, the vocals gritty, and Doerr's harmonica as raw as it comes. “I Have a Devil in Me” is probably the most well known song, by virtue of the simple bizarre pool-aerobics video going viral. Doerr’s harmonica part goes perfectly with the songs explosive guitar riffs and Peterson’s driving drums. “New Moon” closes the record with the album’s carefree vibe, though paying sonic tribute to a more traditional blues style. The song is one of the album’s longest and more somber tracks, clocking in at over five minutes, but doesn’t slow down the album’s momentum. 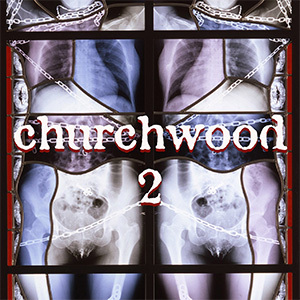 Churchwood’s 2 cement’s their reputation as a blues-influenced band injected with energetic shots of rock and punk. 2 captures the band’s fresh take on the blues, making it a solid addition to Churchwood's discography and an album well worth adding to your collection.